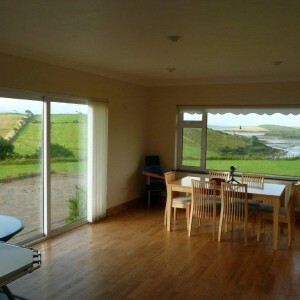 Sandhill is a stunningly situated holiday home, which is available for self-catering lets and rentals. 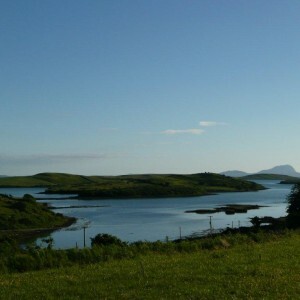 It lies halfway between Newport and Mulranny, in a fishing and farming community, and gives easy access to the Great Western Greenway. 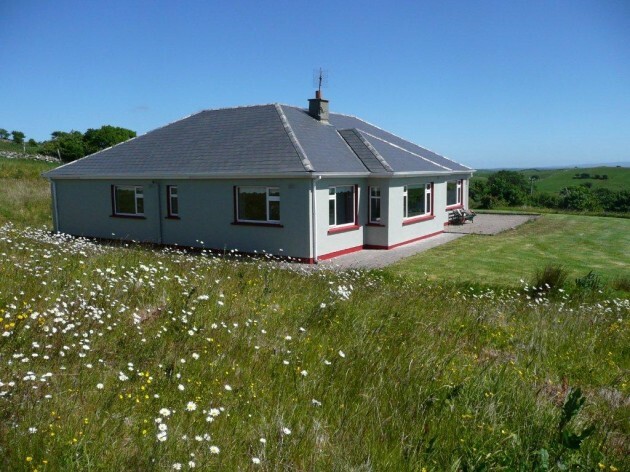 The family owned cottage is a modern bungalow, standing in its own grounds, with commanding seaviews over the outer islands of Clew Bay to Clare Island. Croagh Patrick, Ireland’s Holy Mountain, known locally as The Reek, dominates the sky line to the south. The shoreline is a mere 200 metres down the road from whence the tide goes out for nearly 3 kilometres, leaving at least 5 islands accessible on foot. At low tide it is possible to walk almost to Rosturk Castle. The foraging opportunities for hunter gatherers are plentiful, with mussels and cockles in abundance and the occasional oyster. All the usual ocean fish are in the bay and flat fish can be caught in the sandy areas. There are also opportunities for trout and salmon fishing. This part of Co.Mayo is exceptionally well developed for serious walkers and for safe cycling: bicycles may be hired locally. There are many excellent attractions for all the family, including Westport House, the Ceide Fields and the Museum of Country Life. There are superb scenic drives of which the Atlantic Drive on Achill Island is exceptional as is the view from the car park atop the Minawn Heights. It would be impossible to exhaust the delights of this area in a week. The Newfield Inn, which serves food all day, is 10 minutes’ walk and there are small supermarkets 6 km away. Although Sandhill has all the feel of being ‘away from it all’, it is in fact within easy range of everything needed to make a an exceptional holiday. 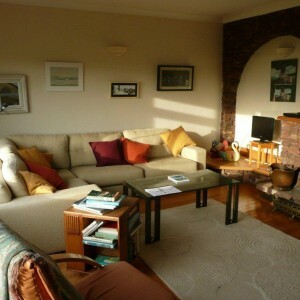 Sleeps 8 – the house has 3 double rooms and one twin. Rates include all heat, light, linen and bath towels. 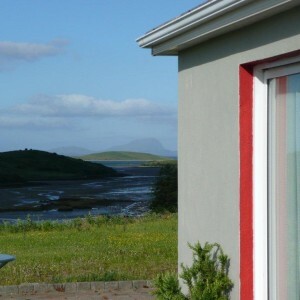 Minimum rental is one week, discounts are given for stays of two weeks or longer. from €950 to €1100 depending on season, subject to discount where applicable.